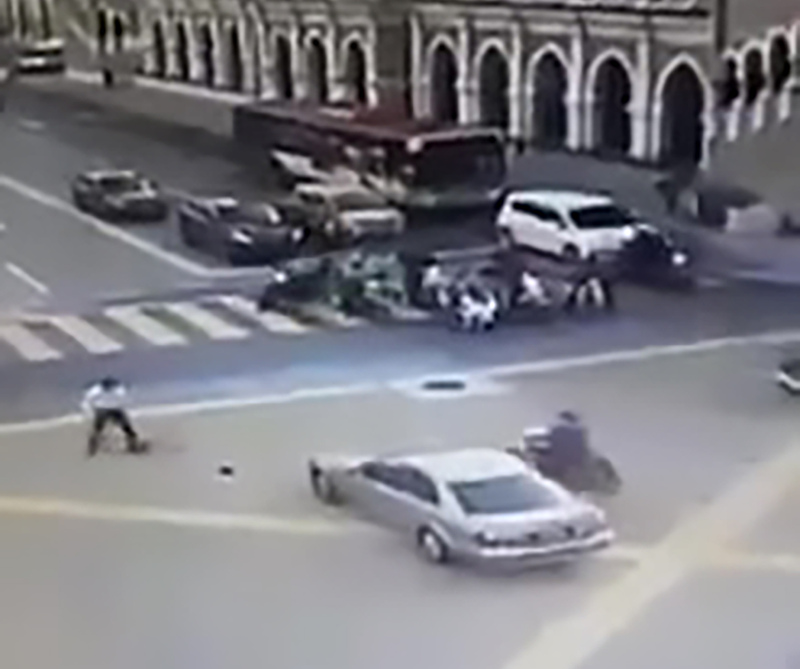 This is the moment a lucky traffic cop walks away almost unharmed after being hit by a Mercedes during rush hour. 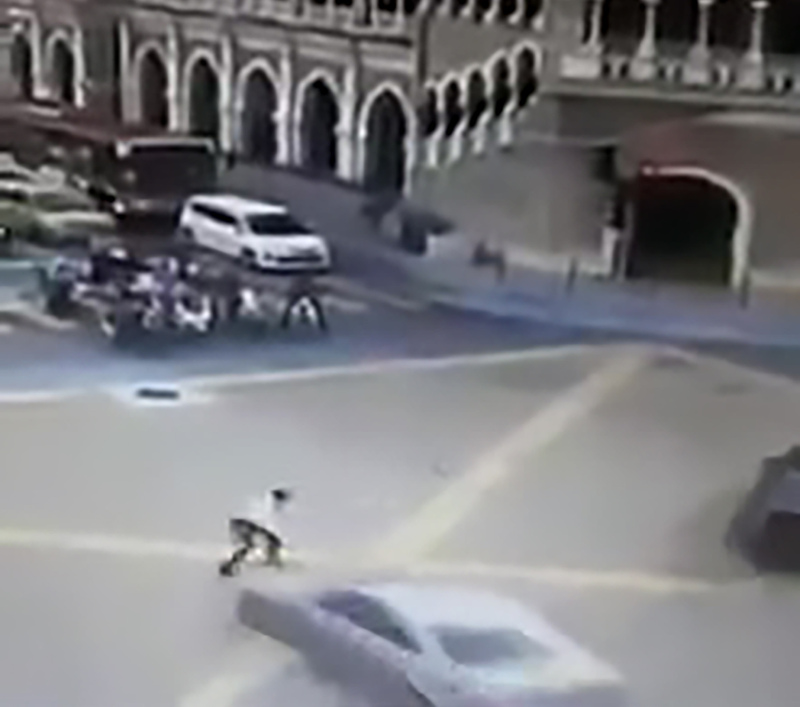 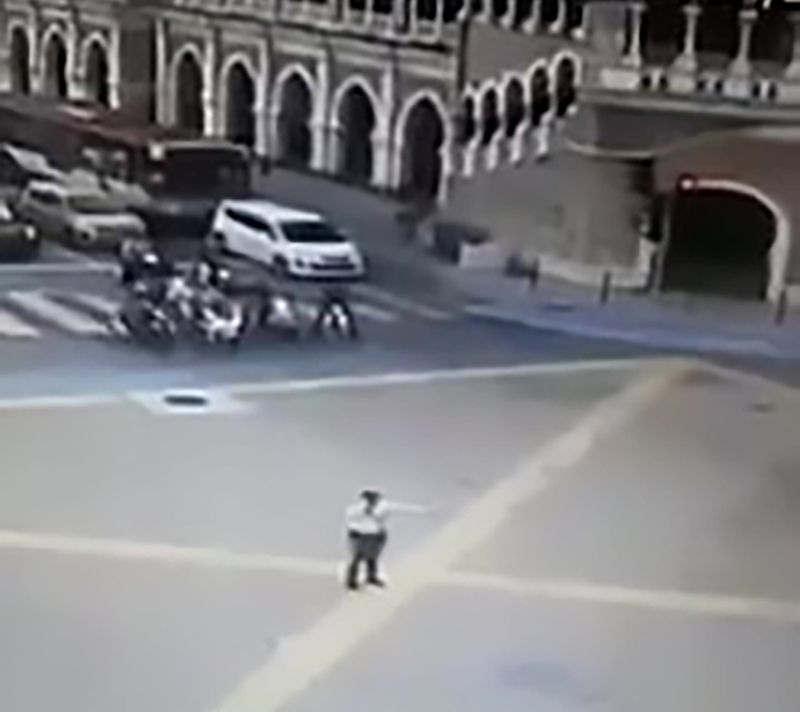 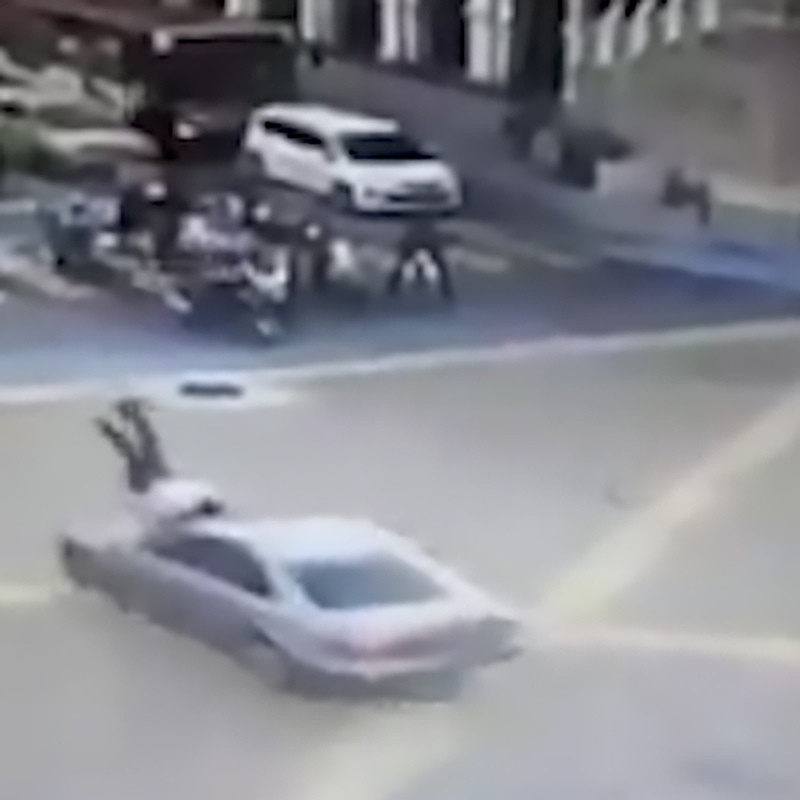 CCTV footage shows the unnamed cop is seen directing the traffic before suddenly panicking as he tries to avoid an onrushing Mercedes-Benz E200 reportedly driven by a 25-year-old college student. 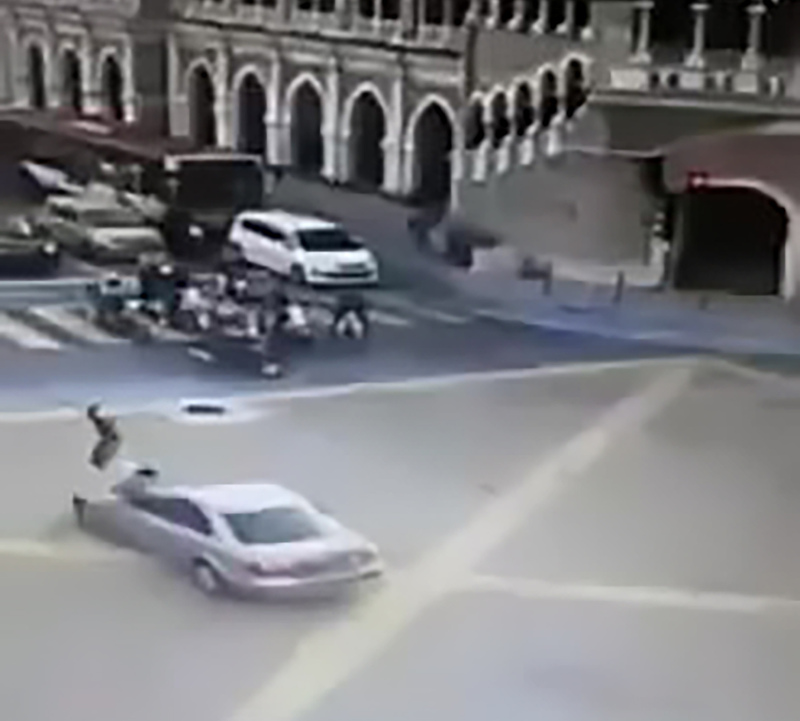 The car ploughs into the officer and he falls onto the bonnet before being sent flying through the air. 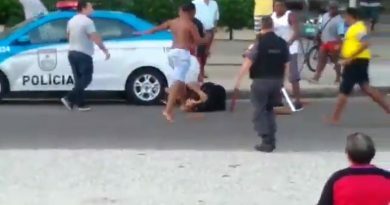 The cop lands hard on the road, but miraculously springs to his feet and walks to the side of the road with only minor injuries. 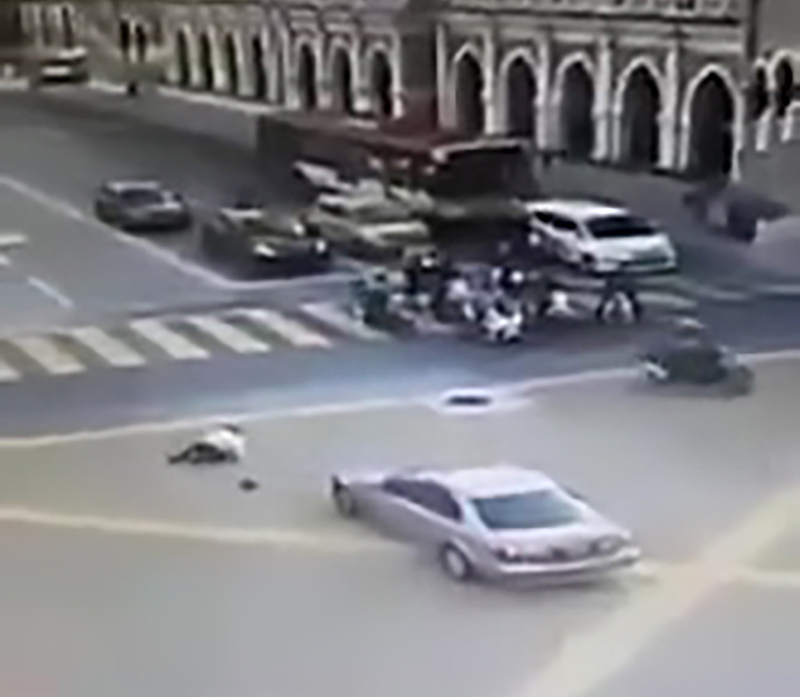 Meanwhile, the young driver gets out of the Mercedes to check on the policeman, who was later taken to hospital. 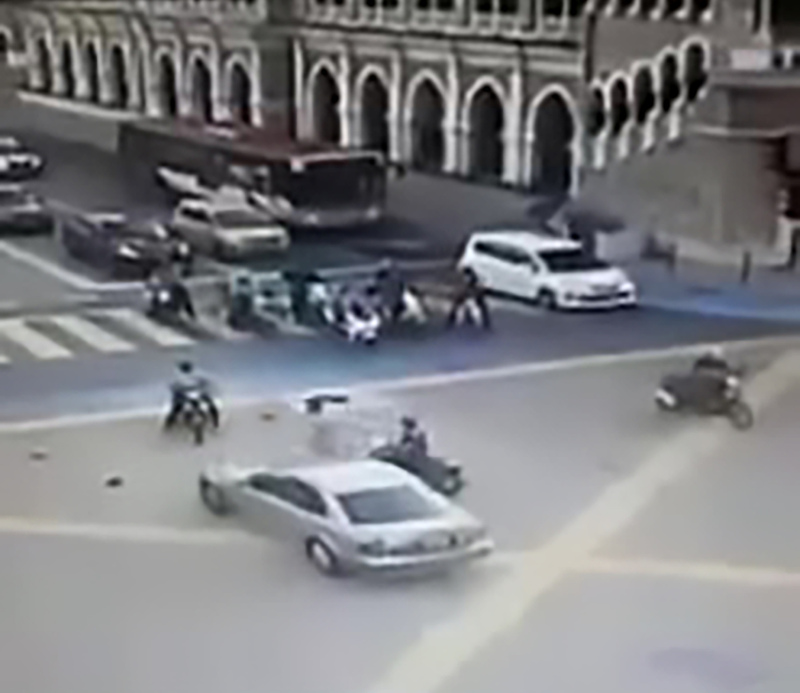 The incident took place at around 8.10am on the Jalan Raja Laut major road near Merdeka Square in the western Malaysian capital Kuala Lumpur. 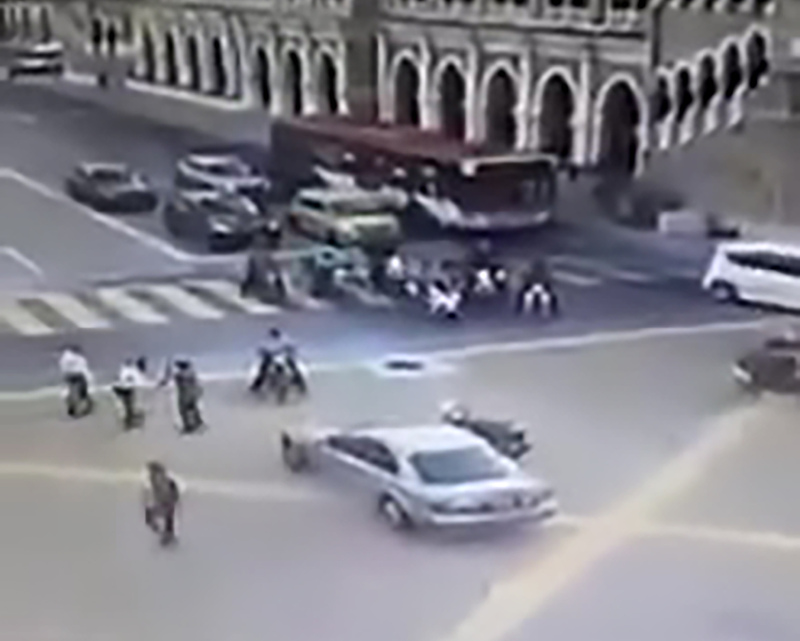 According to the reports, the officer, aged 22, is currently receiving treatment at the Hospital Kuala Lumpur. 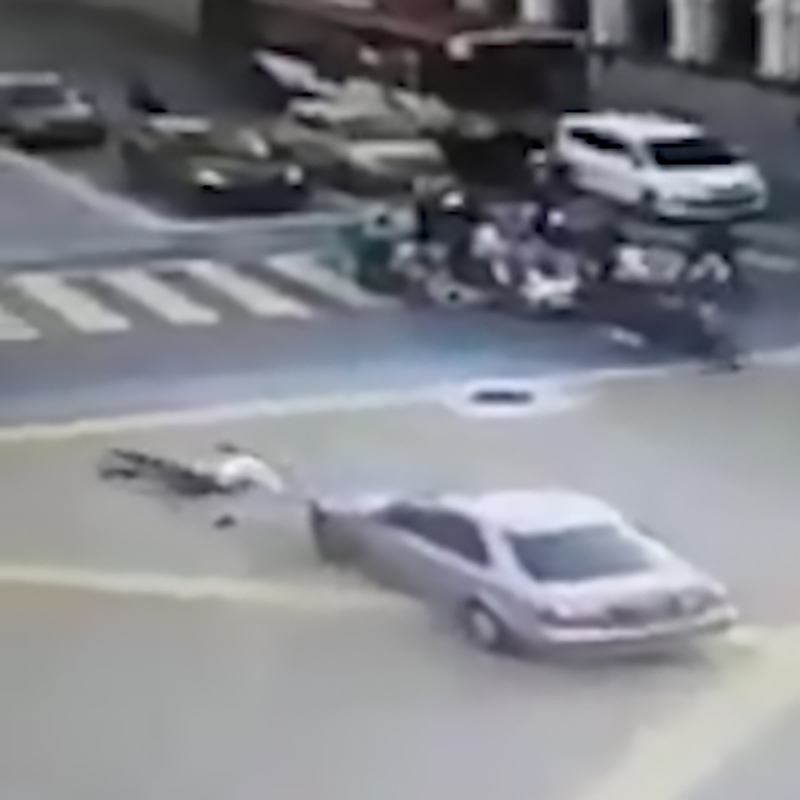 Meanwhile, the young Mercedes driver has been “detained to facilitate investigations”, according to police spokesman Zulkefly Yahya.